Vehicular movement on a part of K. Cyril C.Perera Mawatha in Kotahena police division will be limited from 10.00 p.m. tonight (18) until 5.00 a.m. on January 21. 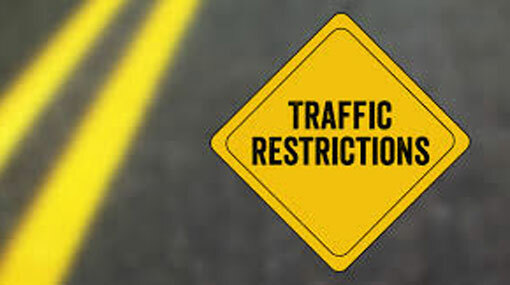 This traffic restriction is being implemented due to the installations of new water pipes from Wasala Road Junction to Walls Lane Junction on K. Cyril C. Perera Mawatha. This part of the road will again be closed at 10.00 a.m. January 25 until 5.00 a.m. on February 08. For the time being, as an alternative route to travel to Modara and Mattakkuliya areas, the motorists entering from George R. De Silva road are advised to turn left from Wasala Road Junction and to travel through Mayfield Road until Aluthmawatha Road. The vehicles that arrive from Modara and Mattakkuliya areas are advised to turn right from Walls Lane Junction in order to enter Aluthmawatha Road.